In some of the windiest conditions World Archery shooters have seen so far this year, Scott Archery athletes stood atop the pack and earned five medals in Berlin, Germany, at Stage 4 of the World Cup. Seeded second after qualifications was Kris Schaff, with Braden Gellenthein in 10th. 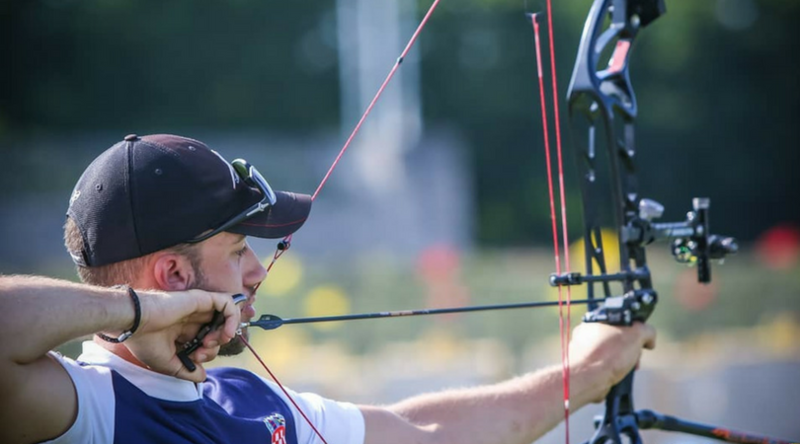 The duo comprised two of the top three slots to represent the United States on the Men’s Compound team and earned a silver medal in a hard-fought match against the Croatia team which included fellow Scott teammate Domagoj Buden, whose team won Gold. In addition to his Silver team medal, Schaff, shooting a Scott Advantage, also went on to defend the Compound Mixed Team Gold medal with Paige Pearce and won with a close match of 155-154. Competing against Mike Schloesser in the Men’s Compound Gold medal match, Buden pressured the #1 seed with 10X after 10X that ended in a close 146-145 match, and a Silver medal for Buden. Schaff and Gellenthein have qualified to represent Scott Archery and the United States for the World Cup Final in Samsun this September.